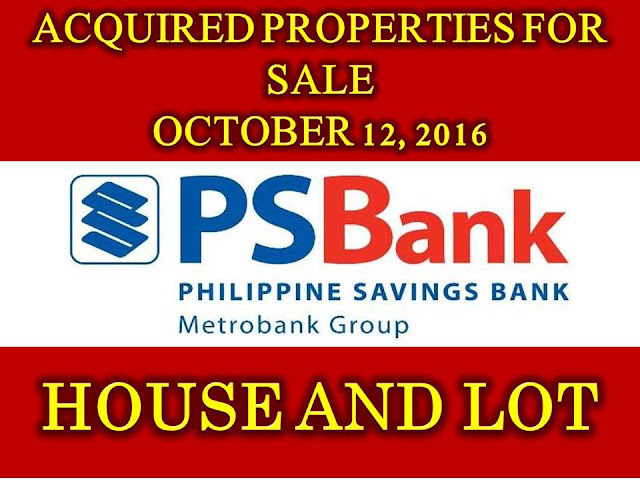 HERE are the properties for sale from PSBANK Properties and assets for sale. These properties are house and lot from different towns and cities in the Philippines. Browse them below and contact the contact details provided if you are interested. You can purchase this lot by cash or by a bank loan or mortgage home loan.